First conceived during the 70’s, Rinkven was finally definitely established in 1981 with its course at its present site – a wonderfully peaceful area of natural “Kempense” fenland just 15 km outside the city of Antwerp. A group of friends from the Jewish community was the driving force in forming the club and thus the inclusion of “International” in the name of the club which is open to all, regardless of country, creed or colour. Renown Belgian golfer and golf course architect Paul Rolin was responsible for the original design of the courses which developed in three stages over the years to its present 36 hole format. More recently the famous English architect Hawtree has made significant amendments to bring the two courses up to modern championship standards. The two courses are a mixture of woodland and parkland holes with water coming in play on several holes. A variety of teeing positions provide a serious challenge to players at all levels. 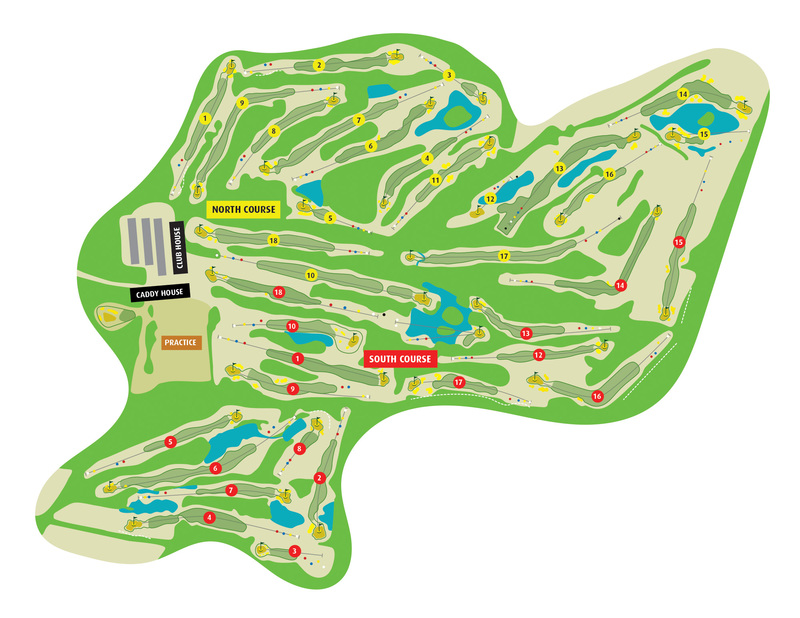 The North Course - at 6124m par 72 - is the longer of the two courses while the South Course - 5986m par 71- has a greater variety of holes requiring the use of all clubs in the bag. The club annually hosts major tournaments on its courses, both amateur (European Amateur Championships) and professional - Telenet European Challenge Tour, the Omnium as well as other international events such as the Alps Tour and the ladies LETAS Tour on several of the last years. During such occasions the members rally round as volunteers to make the events memorable for all concerned, with the result that Rinkven is regularly called upon for its facilities. The club embarked in 2015 on a masterplan to rebuild its infrastructure and upgrade its courses. This plan has resulted in an impressive modern clubhouse, a practical caddy-house and wide-ranging practice facilities and driving range. The golf course upgrade has largely been accomplished, however continued investment in further improvements are planned which will gradually be carried out during the off-seasons. We hope you will enjoy reading the information in this web-site and look forward to being able to welcome you to our club in the near future.